Lovely two bedroom contemporary condo overlooking the bay. Offering a open layout ideal to entertain en enjoy of the awesome breeze and stunning sunsets. each bedroom has an AC unit and a private bathroom. Condo Diamante has private parking space, elevator and secure unit. This professionally decorated luxury unit is quiet and private, large one bedroom, 2 full bathroom unit is in a premier condo building called V399. The rooftop deck with its sweeping 360 degree views of the bay, Old Town and the surrounding mountains has to be seen to be believed. The Rooftop deck includes a heated infinity pool, 2 heated Jacuzzis, a repit, covered lounge areas, a professional stainless steel BBQ under roof with at screen TV. The building features an elevator, garbage chute on each floor, free WiFi in the lobby and roof top terrace area. Security includes entry intercom, security cameras and controlled access. This 1st floor condo can accommodate up to 4 guests with a plush king size bed in the master bedroom with on suite bathroom and its own private balcony facing north and east with a beautiful view of the city and mountains. There is a premium queen size sofa bed in the living room with a separate full bath. The kitchen is spacious and bright with a large window facing east with a beautiful view of the trees and the mountains and includes granite counter tops, high end stainless steel appliances, completely outttedwith everything needed to cook a gourmet meal. Equipped with blackout electronic curtains in the living room and bedroom, for a good night/day sleep. Building provides a wide water purication system means no bottles of water required, drink right from the tap or the refrigerators water and ice through the door. Built alongside the Cuale River, home to majestic iguanas, egrets and parrots, this rental villa, ideal for a family or a group of friends, is within walking distance from the boardwalk and main beaches, terrific restaurants and quaint shops. Imbued in a star-studded history, the house consists of two buildings where period and custom-designed furniture pieces alternate with artworks signed by renowned Mexican contemporary artists. Three dining areas and a high-ceilinged living room with a fireplace complement five spacious, well appointed rooms, with their whimsically decorated bathrooms. Once a favorite hangout for Elizabeth Taylor and Richard Burton, today Villa Leonarda offers all the comforts of world-class accommodations. Brand new contemporary condo with modern decor with lots of natural light and awesome breeze. With two bedrooms; master bedroom with king size bed and en-suite bathroom and the second with two twins. Well equipped kitchen and very comfortable livingroom with large HD tv. Enjoy the common rooftop terrace with an infinity pool overseeing the mountains, city and Pacific. A covered terrace ideal to enjoy the sunsets and well equipped gym. Secure building with elevator and assigned parking spot. This brand new condo has a wonderful open layout with an amazing ocean breeze overlooking part of Old Town and the bay. One floor below the roof-garden area makes it that much easier to enjoy the common areas. You have access to the rooftop terrace common areas and lobby area. You can access the rooftop terrace which has common pool, lounge are with pool table and gym. There is also a BBQ if you want to use it please notify concierge at front desk 24 hrs prior. You have access to the rooftop terrace common areas and lobby area. You can access the rooftop terrace which has common pool, lounge are with pool table and gym. There is also a BBQ if you want to use it please notify concierge at front desk 24 hrs prior. 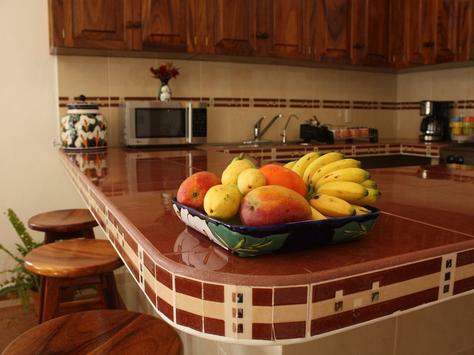 This beatiful 2 bedroom 1 bathroom Casita is only 6 blocks from Olas Altas Beach and the world Famous Romantic Zone a gay and family friendly english speaking area, were you will enjoy the best cafes and restaurants in all Puerto Vallarta. Enjoy authentic Mexican furnishings and construction, with all modern day commodities: WASHER/DRYER, BRAND NEW AC IN ALL ROOMS, HIGH SPEED WIFI, CABLE AND PHONE. What sets this home apart is the prime Location, Location, Location, your basically in walking distance to everything in down town and old town Puerto Vallarta. Condo Breezy Palm is only 3 blocks from the beach and 1 block from the best restaurants, cafes and bars in all Puerto Vallarta. 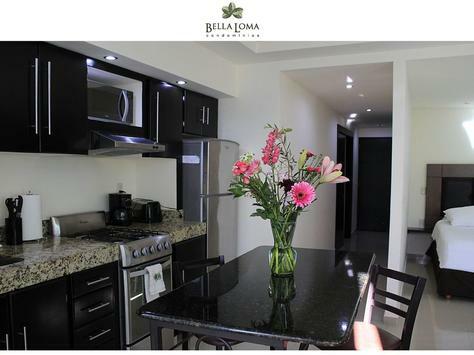 Brand New Junior 1 bedroom, 1 bathroom condo in the Heart of Puerto Vallarta's most Safe and Sought After Neighborhood, a Gay and Family friendly english speaking area; Zona Romantica (romantic zone). Three blocks to Puerto Vallarta's most popular beach; Los Muertos, with no stairs to climb or descend. Enjoy good food and cold chill drinks under umbrellas on a white sunny and sandy beach with turquoise water..
After your day at the beach under the sun, your only three blocks away to the best restaurants in all Puerto Vallarta, enjoy Mexican, Italian, Thai and Sea Food cuisines, or enjoy one of the locals and tourist favorites Tacos al Pastor (Barbacua Tacos). Minutes to boutiques and shopping. Mini-marts, ATMs at national Banks (recommended), convenience stores within a three-minute walk. Fifteen minute taxi ride to marina, commercial centers, golf and eco tourism activities. In unit conveniences include, wifi, flat screen TV with fire stick streaming, high efficiency wall-mounted AC, blender, toaster, coffee maker, dining, flatware and glassware, vanity in bathroom, towels, cleaning service included for weeckly rentals. Queen bed in bedroom and additional full sized sofa bed in living room comfortable for one adult or two children. 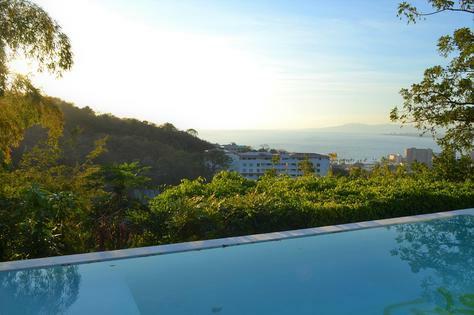 Breathtaking ocean views from Infinity pool & sun deck, stunning views of mountains and Banderas Bay. **Please note that the front of the bedroom of this unit is open to the living space, it is priced accordingly. If a completely detached bedroom is desired, please contact us to inquire about our standard 1 bedrooms. 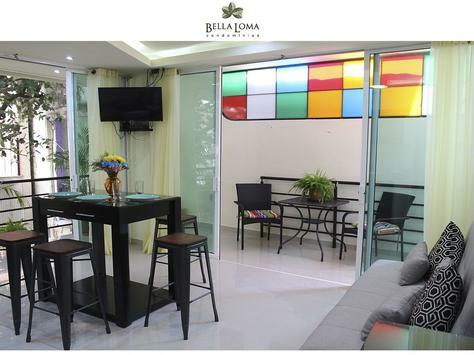 2 bdrm in the heart of Zona Romantica. No stairs to the beach, close to restaurants. Casita Descanso is located at the dead end of Pilitas Street only 2.5 blocks to the beach with no stairs. The default map view is misleading, it appears the condo is floating in the middle of nowhere. Zoom in for a better understanding of exact location and proximity to the beach. 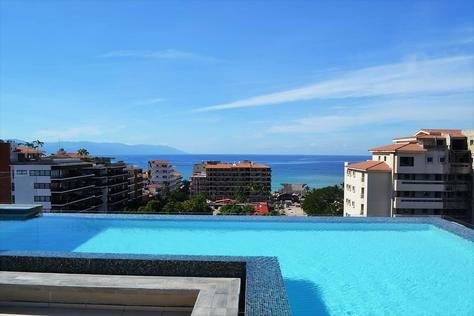 Built in 2015, brand new, well appointed, 2 bedroom, 2 bath condo in the heart of Puerto Vallarta's most sought-after neighborhood; Zona Romantica a friendly and English speaking area. Five minutes to Puerto Vallarta's most popular beach; Los Muertos, with no stairs to climb or descend en route. Food and drink service provided under umbrellas on beach. Only two to five minutes to the restaurants, amenities and nightlife of Olas Atlas and Basilio Badillo, yet tucked away at the end of Pilitas; a dead-end, mostly residential, cobble-stoned street. Minutes to boutique and artisan shopping. Mini-marts, ATMs, convenience stores within a three-minute walk. Ten to fifteen-minute taxi ride to marina, commercial centers, golf and eco-tourism activities. Granite countertops and bar, stainless steel appliances, quality furnishings. L shape wrap around balcony to enjoy the beautiful view and weather outdoors. In unit conveniences include a bar area for dining, workstation, wifi, flat screen TVs in living room and bedroom, fire stick streaming, ceiling fans in bedrooms and living room, high efficiency wall-mounted ACs in living room and bedrooms, mounted document safe in bedroom dresser, blender, toaster, coffee maker, dining, flatware and glassware for six, ample storage, vanity in bathroom, hooks for your clothes and towels, in-unit washer and dryer. Full sized sofa bed in living room comfortable for two adult or two children. Nightly and weekly rentals include daily maid service every other day Monday thru Saturday. Monthly rentals include maid service twice a month, more frequent service available for a small fee. Bottled drinking water provided. Pool & Sundeck area provides breathtaking 360° views of Ocean, Mountains and Olas Altas Village, grilling and bar with stools for entertaining. Elevator from ground floor to fourth floor, access to Pool & Sundeck area does require ascending one flight of stairs to roof top pool deck area. Casa Lazy Oak is located in one of the nicest areas of Puerto Vallarta, in a quiet residential neighborhood at the dead end of Pilitas Street in the heart of Olas Altas, central within the famous Romantic Zone (Zona Romantica), a gay and family friendly area. You can spend time at our rooftop infinity pool and sun deck and enjoy, breathtaking views of the ocean, mountains and city, relax on one of the unit's two private balconies overlooking a natural garden and creek, or take a short walk down two blocks to the famous Los Muertos beach, where you will enjoy, sun, sand, waves and great food and drinks. Once your done with your day at the beach or pool, enjoy happy hour and dinner on Olas Altas only a two minute walk from the. Olas Atlas and Zona Romantica are home to the best Mexican, Thai, Chinese, Italian and sea food restaurants, Puerto Vallarta has to offer. Enjoy the cobblestone streets and European styled open air cafes of the area. Beach Bars line the beach and the Malecon (boardwalk) is close by for a 20-25 minute stroll to the Downtown Zone, host to countless food and art vendors, concerts and special events attracting tourists and locals alike. Your 1 bedroom, 1 bathroom unit is fully equipped modern amenities including: remote controlled AC units in bedroom and living area, wifi, fire stick streaming, phone and flat screen TVs in living room and bedroom. All rentals include every other day maid service Monday - Saturday and bottled water. Welcome to Casa Lazy Oak!! 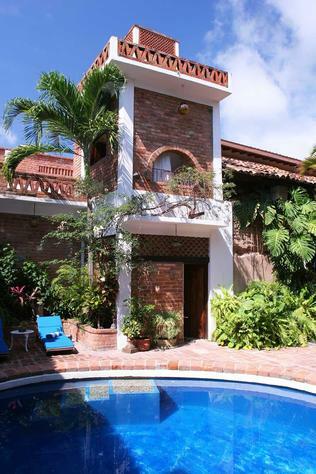 Casa Mira Mare is located at the dead end of Pilitas Street only 2.5 blocks to the beach with no stairs. The default map view is misleading, it appears the condo is floating in the middle of nowhere. Zoom in for a better understanding of exact location and proximity to the beach. 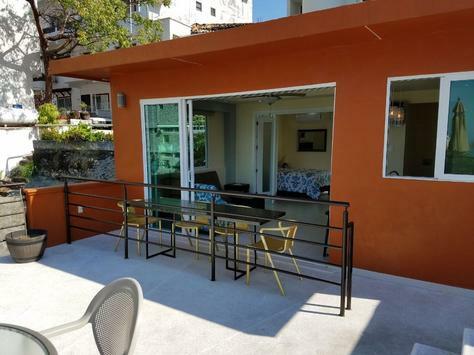 Built in 2017, brand new, well appointed, open air concept, 1 bedroom, 1 bath penthouse condo in the heart of Puerto Vallarta's most sought after neighborhood; Zona Romantica, a gay and family friendly, English speaking area. Minutes to boutique and artisan shopping. Mini-marts, ATMs, convenience stores within a three-minute walk. Ten to fifteen minute taxi ride to marina, commercial centers, golf and eco tourism activities. Granite countertops and bar, tiled backsplash, stainless steel appliances, quality furnishings and local commissioned artwork. Full-wall glass sliding doors provide an open-air concept inside. Multiple balconies and designated patio space to enjoy the beautiful weather outdoors. Front patio area equipped with granite table for four allowing for cooking and dining al fresco. In unit conveniences include a bar area for dinning and use as a work station, wifi, flat screen TVs in living room and bedroom, fire stick streaming, ceiling fans in bedroom and living room, high efficiency wall-mounted ACs in living room and bedroom, mounted document safe in bedroom dresser, blender, toaster, coffee maker, dining, flatware and glassware for six, ample storage, vanity in bathroom, hooks for your clothes and towels, in unit washer and dryer. Full sized sofa bed in living room comfortable for one adult or two children. Nightly and weekly rentals include daily maid service every other day Monday thru Saturday. Monthly rentals include maid service twice a month, more frequent service available for a small fee. Bottled drinking water provided. Five floors up from a babbling brook. 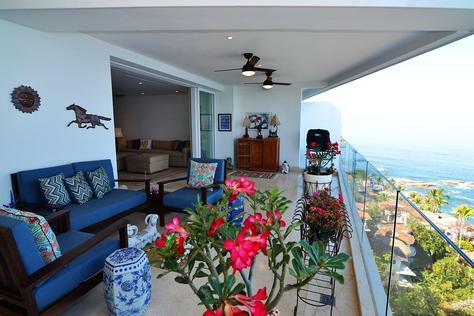 Unique penthouse unit with 360° views of Ocean, Mountains and Olas Altas Village. On pool deck with direct access to pool, bar and grilling area and sundeck with additional stunning views of Sierra Madre Mountains, City Scape and Banderas Bay. Elevator from ground floor to fourth floor, access to unit does require ascending one flight of stairs to roof top pool deck area. 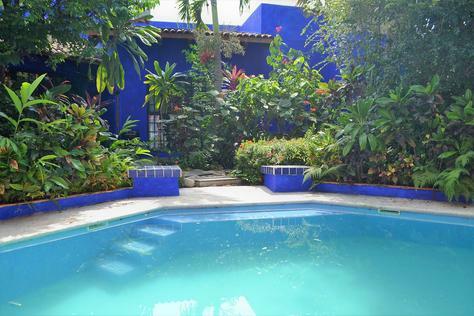 Casa Islita is only 3 blocks from the beach and 2 blocks from the best restaurants, cafes and bars in all PV. Brand New Studio condo in the heart of Puerto Vallarta's most sought after neighborhood; Zona Romantica, a gay and family friendly, English speaking area. Three minutes to Puerto Vallarta's most popular beach; Los Muertos, with no stairs to climb or descend en route. Food and drink service provided under umbrellas on beach. Only two to five minutes to the restaurants, amenities and nightlife of Olas Atlas and Basilio Badillo, yet tucked away at the end of Pilitas; a dead-end, mostly residential, cobble-stoned street. Only two floors down from breathtaking pool deck with infinity pools and more stunning views of mountains and Banderas Bay. Casa Teresita is only 3 blocks from the beach and 1 block from the best restaurants, cafes and bars in the romantic zone. 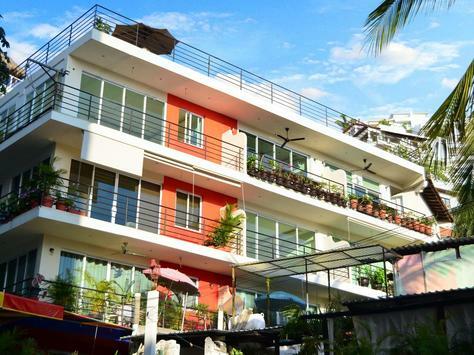 Brand New Junior 1 bedroom, 1 bathroom condo in the heart of Puerto Vallarta's most sought after neighborhood; Zona Romantica, a gay and family friendly, English speaking area. Please note that the front of the bedroom of this unit is open to the living space, it is priced accordingly. If a completely detached bedroom is desired, please contact us to inquire about our standard 1 bedrooms. Three minutes to Puerto Vallarta's most popular beach; Los Muertos, with no stairs to climb or descend en route. Food and drink service provided under umbrellas on a white sandy beach with turquois water. Only two to five minutes to the best restaurants and nightlife in all Puerto Vallarta. Minutes to boutique and shopping. Mini-marts, ATMs, convenience stores within a three-minute walk. In unit conveniences include, wifi, flat screen with cable, high efficiency wall-mounted AC, blender, toaster, coffee maker, dining flatware, vanity in bathroom, towels, in unit washer and dryer, cleaning service provided for weeckly rentals. Queen bed in bedroom and additional full sized sofa bed in living room comfortable for one adult or two children. 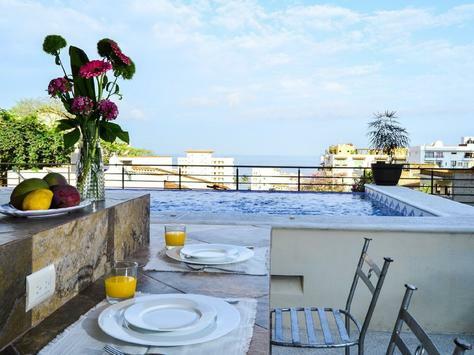 Built in 2015, this new, 2 bedroom, 2 bath condo in the heart of Puerto Vallarta's most sought-after neighborhood; Zona Romantica a friendly and English speaking neighborhood. Granite countertops and bar, quality furnishings. Large private terrace ideal to enjoy outdoor living with a beautiful view and weather tropical weather. In unit conveniences include a bar area for dining, workstation, wifi, flat screen TVs in living room and bedroom, fire stick streaming, ceiling fans in bedrooms and living room, high efficiency wall-mounted ACs in living room and bedrooms, mounted document safe in bedroom dresser, blender, toaster, coffee maker, dining, flatware and glassware for six, ample storage, vanity in bathroom, hooks for your clothes and towels. Full sized sofa bed in living room comfortable for two adult or two children. For weekly and nightly rentals housekeeper service is provided everyother day. Monthly rentals include maid service twice a month, more frequent service available for a small fee. Bottled drinking water provided. Condo Terraza is located at the dead end of Pilitas Street only 2.5 blocks to the beach with no stairs. The default map view is misleading, it appears the condo is floating in the middle of nowhere. Zoom in for a better understanding of exact location and proximity to the beach. Condo Jardin is located right behind Mantamar Beach club, in the heart of the romantic zone and olas altas (gay area). 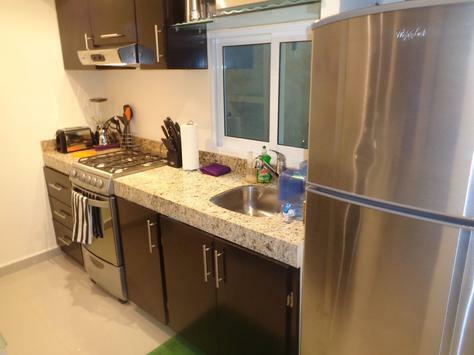 Fully equipped spacious condo with acess straight to the beach , just a quick minute walk. Located inside Casa Corazon, the complex ofers a breakfast option for just 60 pesos! Common pool, outdoor private shower, just outside the licing room, fully equipped kitchen, washer and dryer, these are just a few amenities all at your fingertips. Art in space. The best view of the Bay of Banderas to enjoy the best sunsets. Panoramic pool and unheated relaxation pool, Bar & BBQ, Master Suite Soul & Romance with the best outdoor hot water shower in the jungle, Suite and bathroom Mudéjar Art. The kitchen is an invitation to your palate. It is located in the highest mountain of Puerto Vallarta, within the ecological reserve "Agua Azul", jungle of the Sierra Madre Occidental. Beautiful!! with the best view of the Bay of Banderas. It sleeps up to 8 people and 2 children, open kitchen, dining room, living room, terrace, BBQ, swimming pool with Jacuzzy, parking. Just 5 minutes from the beach and romantic area of ​​the beautiful center of Vallarta. If you want a holiday isolated from the noise and 5 minutes from your shopping, restaurants, galleries and beaches, this is for you! The house is private only for you. Note: If there are more than 8 guests we have another property next to Villa Terra Noble. Based upon avaialability the other property can accomadte up to 4 additional guests, if there is availability you can rent both properties during the same date frame. The additional payment of 350.00 MXN per day cook/meal preparation for up to 2 meals per day(groceries are additional), is optional. It allows you to enjoy a hassle free vacation, you decide which meals and schedule so that you feel comfortable, simply notify before your arrival if youd like this service. If you want massages we have the best masseurs, a reservation can be made. When you arrive, you will find an emergency phone book, restaurants, agencies to organize tours, beauty salons, etc. We can also book your massages with different prices. Enjoy this beautiful Mexican style residence with all the modern amenities for a relaxing getaway! The house has high ceilings and an inviting open floor plan. The living room, kitchen, dining room and master bedroom all look out onto a private pool surrounded by lush tropical gardens. The kitchen has granite counters and an abundance cabinet space. There is also a roof-top patio with great views of the nearby Sierra Madre mountains to enjoy your morning coffee or evening cocktails. 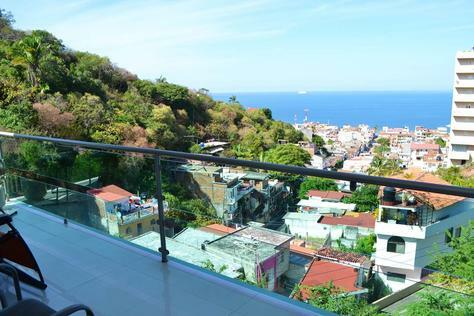 Lovely two bedroom and two bath condo in upper Amapas with amazing view of the bay and Old Town Puerto Vallarta like you have never seen before. 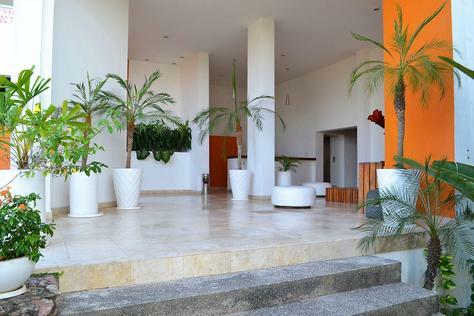 Very comfortable and well equipped unit with everything you may need to make the most of your Puerto Vallarta holiday! There is an elevator for easy access to your unit and the common areas which is at the bottom of the development. This two bedroom and two bath unit has an open floorplan with a covered terrace with breathtaking views of the bay and outdoor living space. Indah is hands down one of the best location the Puerto Vallarta has to offer. For those who want easy, convenient access to the restaurants, shops and cultural amenities of Vallarta’s charming downtown but don’t want to be in town, look no further. Indah is located just 5 minutes away from the Puerto Vallarta downtown core on prestigious Santa Barbara Street in Lower Amapas. Located only 700m (0.40 miles) to the new downtown Boardwalk and Pier, 100m (330 feet) from Los Muertos Beach and, best of all, directly on sandy and serene Amapas Beach. The condo is well equipped with everything you may expect to make you feel at home. Tasteful decor with outdoor living space overlooking the Pacific with stunning sunsets in the evening. Another of the awesome amenities is a private staffed kitchen / room service / and food at cost! Private Sports Bar with LED screens and draft beer. A, Venustiano Carranza 311, Emiliano Zapata, 48380 Puerto Vallarta, Jal.